On day 2, I set out like the lone ranger , a black scarf wrapped round my face to keep out the -25 wind-chill and about 3 layers of clothes. I had a great 2 hours checking out Buena Vista Park and some surrounding back alleys, but still ended up with a freezing face. The mask becomes annoying after awhile. I have no idea how Batman does it. 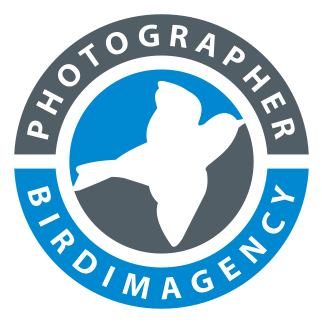 For day 3 , myself and 5 members of the Nature Society walked around Montgomery, spending 2 hours looking around for signs of birdlife. WOW! 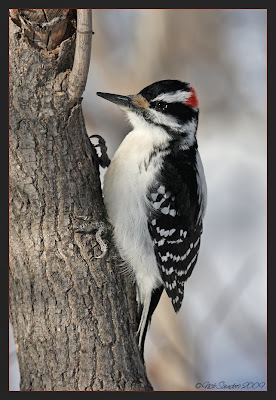 I love that redpoll photo (with a windchill of -25, no wonder he's so fluffed up), and the Hairy Woodpecker is really cute too...and the Sharp-shinned, fierce. Glad you were able to brave the cold... Your photos are always so radiant and crisp. 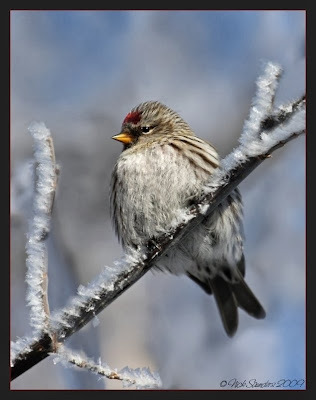 Love the sharp skinned and redpoll photo. Congrats and getting out there in that awful cold to count the birds! Hi yo silver away!! Just kidding - loved the lone ranger reference! I wish I could take these kind of photos! All of these shots are 10/10 so tack sharp well done! my favorite is the woodpecker. 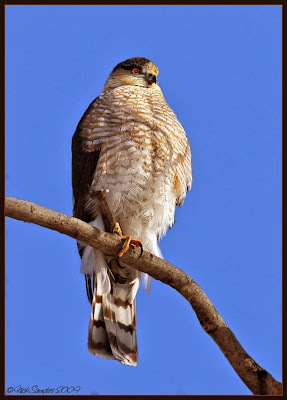 Terrific bird pictures as always Nick and it seems like a great list for your bird count. I am not sure I would have liked to be out in the freezing cold though. This day for counting should be in spring or summer. I do not think I could ever get used to cold like that but then if you are born there, it must be different. Just stumbled across your site, and love the photography! Originally from Lloyminster, one of my favourite views in the world is the first site of the Saskatchewan River heading out to North Battleford from Saskatoon -especially when there are skeins of geese drifting overhead! Miss it a lot.